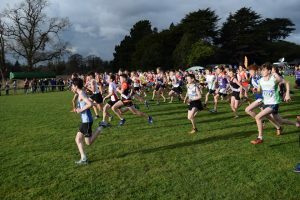 Wexford won three individual and four provincial team medals at last weekend’s Irish Life Health National Cross Country Championships held at the National Sports Campus, Abbottstown. The juvenile events served as the undercard for the Junior and Senior events. 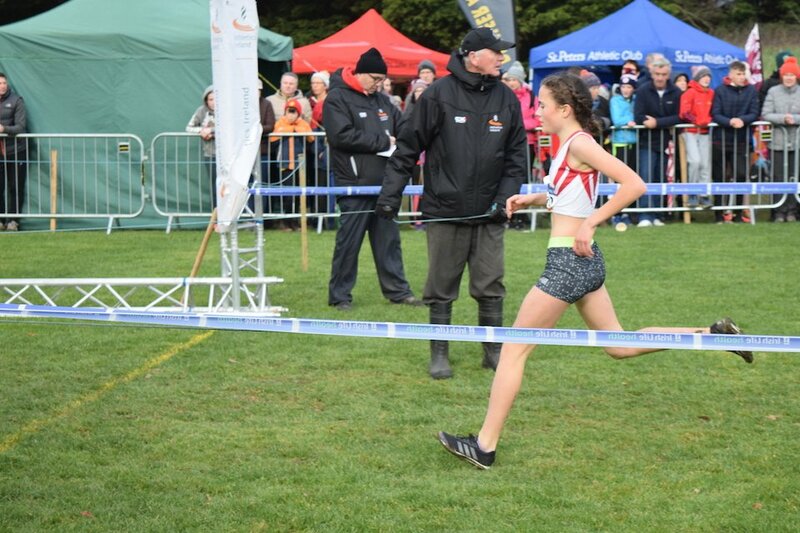 With places on the Irish European Cross Country team up for grabs the latter two categories had added significance. The Junior races doubled up with U18s while the U23s ran with the Seniors. However, while these races were exciting and hard-fought affairs the juvenile races provided plenty of excitement in their own right. Conditions on the day were ideal with no rain, little wind and, apart from a few boggy patches, firm sod underfoot. 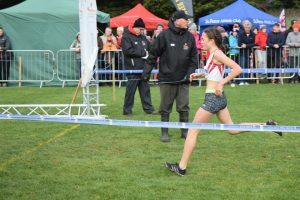 No doubt Athletics Ireland officials will have been engaging in up-close analysis throughout the day as this is the same venue that will be used for the European Cross Country Championships in 2020. Myles Hewlett of United Striders AC took a brilliant Silver in the Boys U14 3000m. He was leading up to half way through the 2nd of the two laps, lost a little ground on the final hill, then stormed back in the home straight to leave very little between himself and the winner, Jack McCausland of Lisburn. Myles also won a Gold medal with the Leinster team. 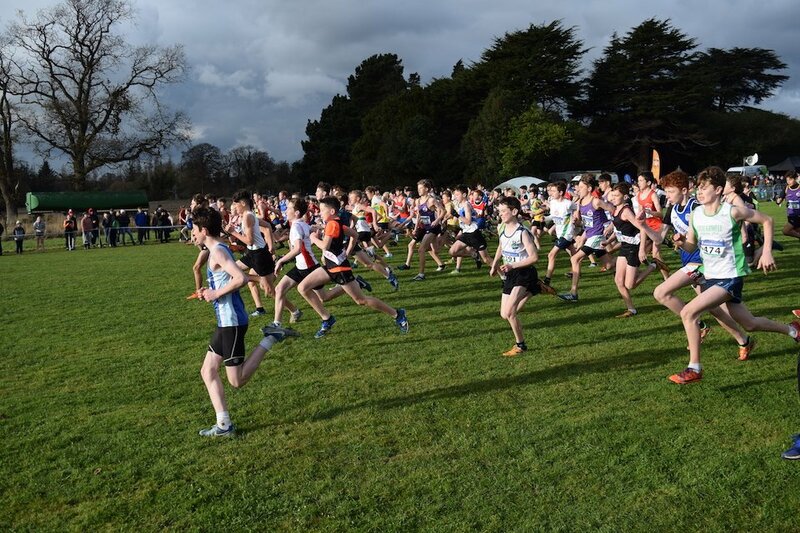 United Striders top placed four athletes, which included Eoin Shannon 25th, Finbarr Kelly 58th and Sean Lennon 89th, secured a 4th place finish for the club. The county team placed 5th overall. 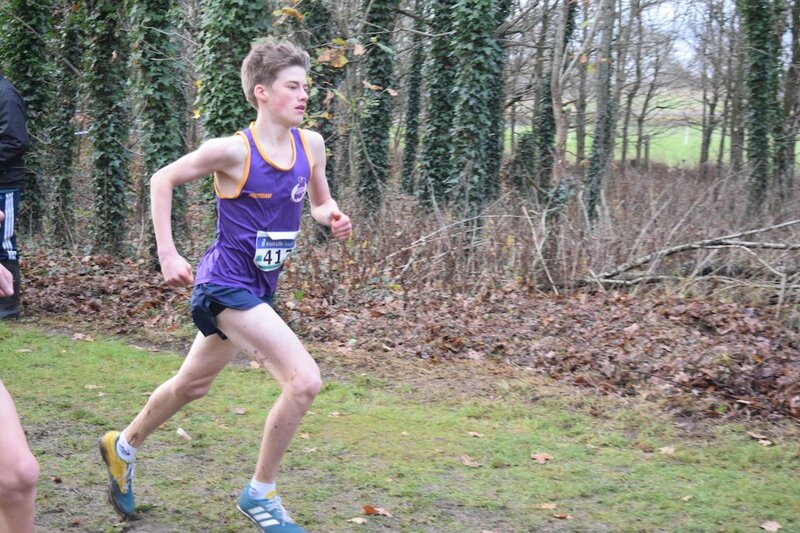 Other Wexford placings: 45th James Hegarty (DMP), 57th Alex Lafferty (DMP), 92nd Cosmo Hewlett (US), 131st Caolan Costello (US), 132nd Ben Myers (US). DMP’s Claragh Keane has been showing great form of late. Competing in the Girls U16 4000m she continued on her upwards trajectory with an excellent 8th place finish in a stacked field. This automatically qualifies her for the Irish team to compete at the Celtic International. Claragh was 4th scorer on the Gold medal winning Leinster team. 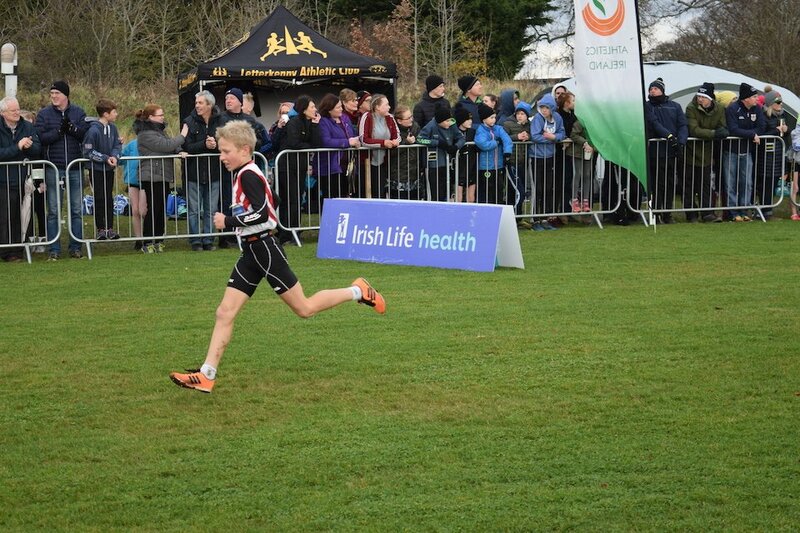 There was another individual medal for DMP as Kevin O’Mahony running in the Boys U12 race delivered a blistering last 500m to get up for 12th place. And just like his clubmate Kevin won a team Gold as a member of the winning Leinster team. 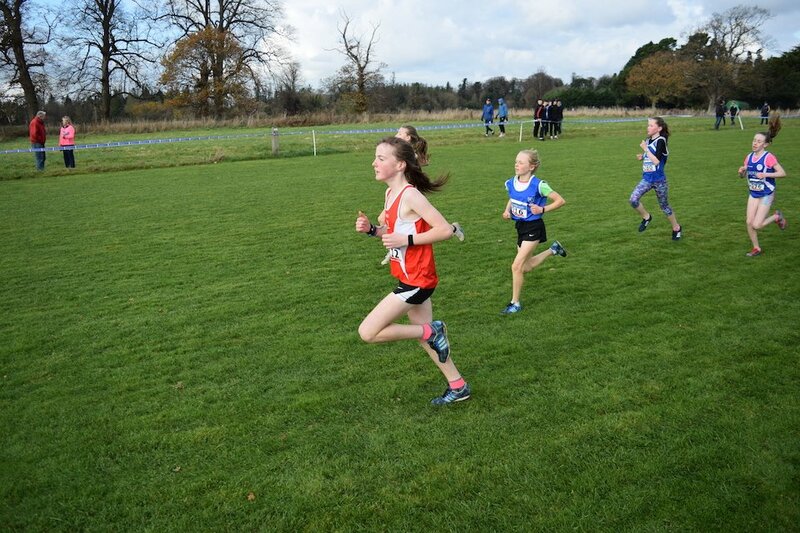 In the Girls U12 race Sarah Phylan, Enniscorthy AC, won her first national medal as 4th scorer (23rd overall) on the Bronze medal winning Leinster team. 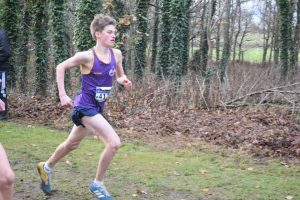 First Wexford athlete home in the Boys U16 4000m was Joe Byrne (SBR) in 37th, followed by Ben Wall (US) 52nd and Aidan Shannon (US) 61st. Other Wexford placings: 77 Ronan Griffin (DMP), 82 Darragh Flannelly (US), 113 Robert Wall (US). The county team finished in 8th place. The All-Ireland Juvenile Uneven Ages (U11-U19) Championships, along with the National Novice Champs, take place in Navan on Dec 15. 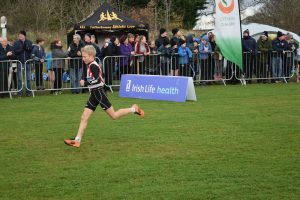 Tagged Claragh Keane, Irish Life Health National Juvenile Cross Country Championships 2018, Kevin O'Mahony, Myles Hewlett, Sarah Phylan. Bookmark the permalink.